Slim Down St Pete uses the ITG Diet Plan featuring delicious products that can help you meet your dietary and weight-loss goals. Our plan allows dieters to control their weight in a healthy manner based on our protein-based program in a comfortable and personal setting with private consultations that focuses on great customer support. Participants adhere to an easy to follow, 3-step ketonic body program that allows them to finally achieve the success they so richly deserve. Our experienced team provides you with the necessary training, materials and education to help you attain your health and weight-loss goals. One of the things that make it work for us is the science behind the weight-loss aspect. Slim Down will not represent a yo-yo diet plan with no end for the dieter. For example, we’ll explain how the foods you eat react in your body and either cause you to retain or lose weight. That's our difference. We’re interested in your health so we have coaches available to help you without additional charge. With Slim Down you lose the weight, then you keep it off, for two reasons; first, because you'll shed fat instead of muscle, and second, because our focus is on teaching you how to make better eating choices rather than simply eliminating the fun foods from your diet. Laurel began her focus in the medical industry in 2001, building and selling software to medical clinics. After selling that company in 2005 Laurel and her husband, Mike, purchased and operated the largest integrative medical clinic in the state of Florida. 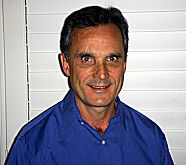 In 2006, the Beattys brought a popular ketonic body program into their medical clinic. Laurel was the test subject to participate in the program and lost 20 pounds in 60 days, and kept it off. 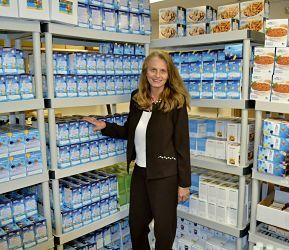 In that same year, Laurel worked with a team of other consultants to bring a new protein product line into the United States including the development of their sales force. Laurel was instrumental in developing weight control collateral materials from the dieter level to the coach level to the clinic level. Building on Dr. DeCosmo’s weight loss plans the program now utilizes ITG protein foods along with customized supplements for a simpler 3 Step Weight Loss Plan. Dieters enjoy the new variety of products and find the new program easy to follow. It is very satisfying to be able to continue to help improve people’s health and quality of life. See entire Bio. Kaitlin is a Florida native with over 10 years of experience working in a multi-specialty medical clinic. At the medical center, she managed hospital billing for over 150 physicians. At 25, she was diagnosed and treated for papillary thyroid cancer. Following a total thyroidectomy, Kaitlin learned how important a healthy diet is for maintaining weight with thyroid issues. ITG Diet will get you started, then coach you for ideal success with our products being shipped right to your house. If you aren't already on the ITG Diet plan please contact us to find out more today.